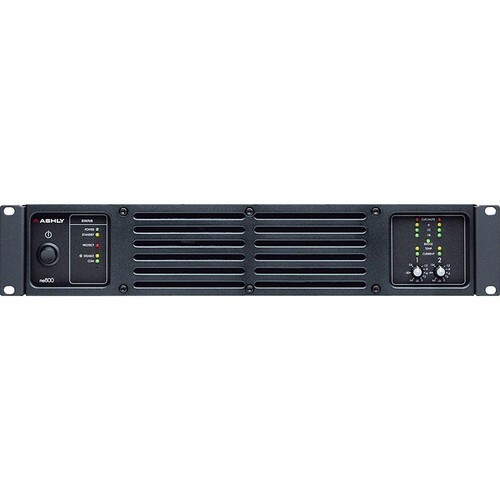 The ne800pe from Ashly is a rackmount stereo power amplifier with network capability, ideal for installed audio applications. 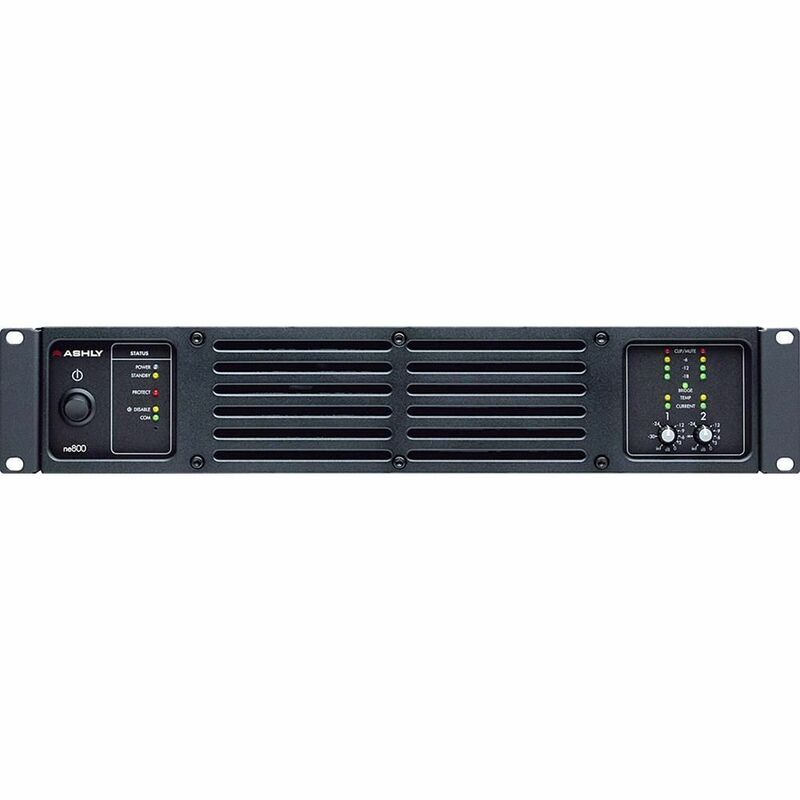 The amplifier has a 10/100 Ethernet jack that allows you to control and monitor the amplifier's functions over a network with the included Proteane software. The rear panel offers XLR and Euroblock analog inputs, Speakon and Euroblock speaker outputs, and XLR and Euroblock analog Aux outputs. The factory-installed Protea DSP module allows you to configure each input with DSP blocks for dynamic control, gain function, graphic and/or parametric EQ, high and low pass filters, time delay, metering, and a test signal generator. It also offers a mixer section that allows you to route an input to any and all outputs. The outputs have the same DSP function as the inputs, with the added capability of an automated crossover setup. Up to 35 DSP presets and subpresets can be stored and recalled in real time via Ethernet with the included software. A blank panel on the rear allows you to install an optional CobraNet CNM-2 card for CobraNet capability, or an AES/EBU input to support digital audio. Other useful amplifier functions include DC voltage control, preset recalls, and remote power standby. LED indicators provide you with at-a-glance knowledge of power, standby, network, protection circuitry, audio levels, operating mode, temperature, and current. Box Dimensions (LxWxH) 19.0 x 16.0 x 4.0"